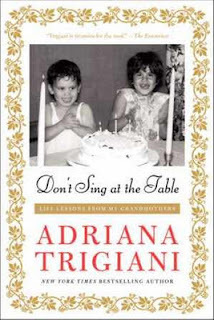 Don't Sing at the Table, by Adriana Trigiani was a touching and motivational read. This is the first of her work that I have read, though I have hard incredible things about Lucia, Lucia and Big Stone Gap. 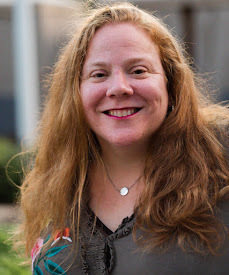 I am kind of glad I started off with a non-fiction work in that I feel as though I actually got to know her as she introduced me to her grandmothers. Lucy and Viola will likely feel like many a grandmother you have met over the course of your life. Whether you relate them to your own, one or two, regardless of religious or cultural backgrounds, or that of a friend. Or even a great aunt or two. She'll bring you into their worlds, long before she entered them. This makes me a little bit jealous. I didn't have my grandmothers for long enough to be old enough or smart enough, or perhaps just not well prepared to ask them for their history. And I am sad about that. I read through these pages envious of all that Adriana got to know about these important role models and what she carries with her daily that they passed on. Along with that I know she is doing the same with her own daughter, and teaching her the ways of the women who lived before. The memories and the stories are beautiful. The page by page history of each woman and each "side of the family" are intriguing, but a bit slow for me during the earlier chapters. It was when she changed her tune and started to overlap the women that I sped on. The history, the single meeting between the two. How one paid respects to the other at her funeral. How one visited family in Italy that belonged to the other woman. It doesn't even matter - as I tell you this - which woman I mean when I make each point. Because at this part of the story it's their connections and how they live on within the author that matter the most. I'm glad I had a chance to get to know not just these two incredible women through this book, but a third, in the author herself. I will, however, go against one piece of advice given by Viola and her side of the family. It's quite possibly one that matters most to our author, as it is shared in the title of this book. I'm sorry - but singing at the table ... and pretty much anywhere in our house ... is something that is totally okay by me. I haven't read any of her fiction books either but everything I read about her reminds me of my own family! LOL I think that, like you, I'd prefer to start with this book and get to know Adriana before moving on to her fiction. Glad you enjoyed it so much! Thanks for being a part of the tour. 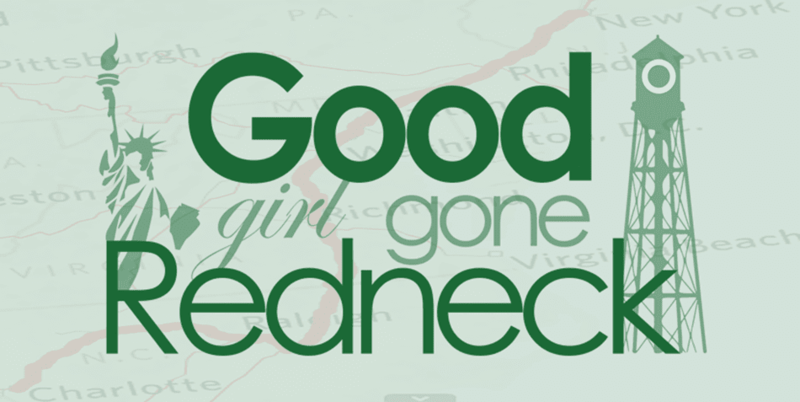 Sounds like a lovely book - I love the idea of overlapping the two women. I have never heard of this author but the book does sound really good! I'll have to check it out. What is the TLC book tour?